We pride ourselves on providing the safest and most comfortable living environment for our dogs. Service dogs work very hard and deserve to be pampered and taken care of! We have lots of plans to improve our facility, kennel and training area. 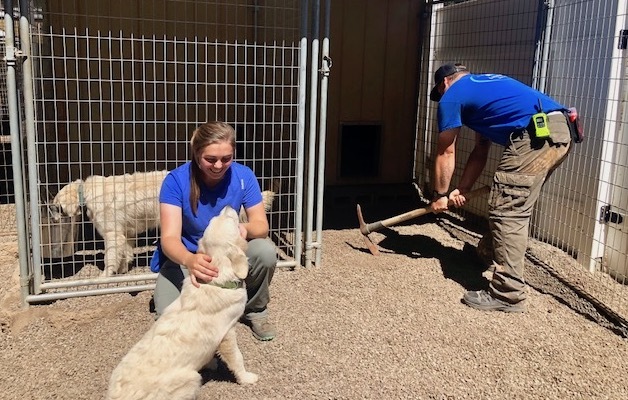 Recently, we have added a new bunk with a turf free play area, a large classroom for training, events and handler training, a fenced in field for off leash training and free play, and new equipment to help us better train our dogs. All of our dogs that stay at the ranch have a heated indoor bunk and an outdoor run with access to toys and fresh water. Maintaining these facilities has a lot of associated expenses and we appreciate the generosity with your donations. Without your help it would not be possible to keep the ranch looking the way it does!